All three books of the paranormal romance Desert Son Trilogy are now available for one low price! 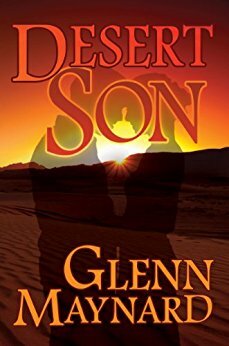 Includes Desert Son, Wayward Soul, Spiritual Intervention (Books 1-3). Carter Spence is a 26 year-old accountant out of Boston who has an out-of-body experience following a car accident that kills his parents. He views the chaos from above the scene of the accident, then passes through the tunnel and reunites with relatives who have long been dead. A woman he does not recognize approaches him and says, "Welcome, son." Her message to him is that he needs to be aware of his true identity and should follow signs that will lead him there. She mentions mountains, but Carter is jolted back into his physical body before she can finish. After burying his parents, Carter heads west and meets a free-spirit named Brenda, whom he is drawn to on many levels. She becomes his travelling companion and leads him to Boulder, Colorado, and to an old white house of an old man named Martin. Diaries, hypnosis, and past-life regression reveal a bizarre connection between these three. Carter discovers that the truth to his identity can only be found by pursuing the answer to whether he is the reincarnation of his biological father in what is shaping up to be a love affair rekindled beyond the grave. This paranormal romance trilogy features reincarnation, out-of-body, and past-life-regression hypnosis that will haunt your soul and shake your faith! "Thanks so much for hosting my novel The Silk Romance on your site. The pages look wonderful. I'll certainly spread the word about your service"
Copyright © 2007 - 2019 humanmade.net. All rights reserved.